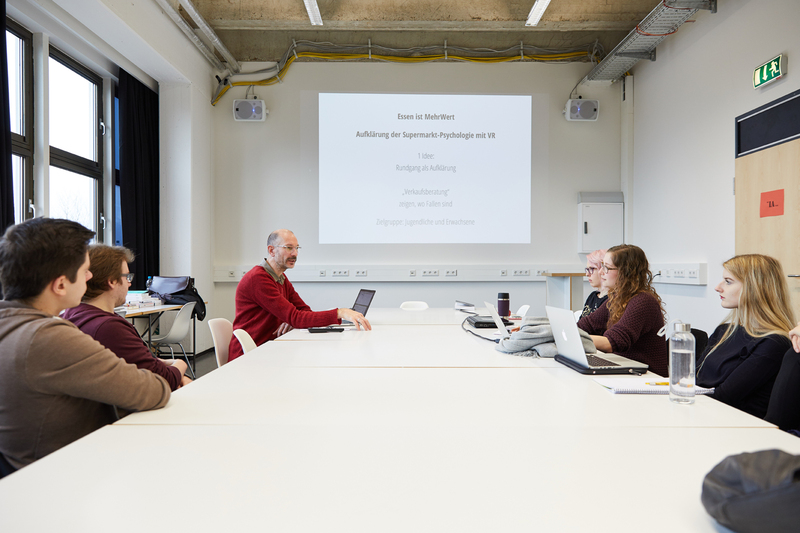 Design students at the University of Wuppertal and the Folkwang University of the Arts are participating in a contest to develop sustainable media and product solutions that are to motivate people to value food more. The contest, “Food is valuable” is project that was initiated by the Consumer Direct of North Rhine-Westphalia. According to statistics, each German citizen throws away about 82 kilograms of edible food annually. In monetary terms, that’s about 235€ per person per year that lands in the garbage. That’s enough money to go on a short holiday within Germany. This isn’t an individual problem, though. After all, common property such as land and water are also being used (up) unnecessarily. And the use of fuel and fertiliser that is needed in farming lead to greenhouse gas emissions that are damaging our climate. So there are enough reasons to be careful with food. However, daily shopping, storage and cooking routines often stand in the way of this realisation. In order to break out of this rut, we need new approaches and ways of action. That’s why the Consumer Direct NRW established the student contest “Lebensmittel sind mehr wert”, or “Food is valuable” together with the University of Wuppertal and the Folkwang University of the Arts. The contest is part of the project “MehrWert NRW” or “More Value NRW”. The contest is taking place during the winter semester 2016/2017. Students of media and industrial design have been invited to develop communication and product solutions designed to help lead to more appreciative and conscientious ways of dealing with food. They are looking for good, creative ideas that can be put into practice. The Consumer Direct NRW offers their expertise and are seeing over the development of the students’ projects. At the University of Wuppertal, Kristian Wolf’s interactive media design students are participating in the contest. They are using design thinking approach methods to analyse and evaluate users and their requests in order to create digital and analogous services that are especially made for everyday problems. For example, Nadine Hoffmann asked herself how you can eat regional, healthy, and yet delicious foods during the winter in Germany. So she did an experiment on herself and cooked according to a plan for two weeks long, only using regional ingredients. She had found a number of seasonal recipes and bought all of the ingredients beforehand. “I found it to be very enriching to see how diverse the regional vegetables are in autumn. The different recipes showed me that squash and turnips can be prepared in such different ways and that your diet can be greatly varied. I found it relaxing to know that I had all of the ingredients at home waiting for me and that I knew what was to be done every evening.” She decided to develop an app that suggests seasonal recipes to the user and helps them plan their menus a week in advance according to their needs. The ingredients for the recipes are to then be delivered each week to the user’s house from local farms. Besides the discipline of interactive media design, classes such as audiovisual design and media technology also participated in the contest. That means the results will be very diverse. The contest is open until the end of March, 2017 and will come to a close with a prize giving ceremony at both universities in 2017. Julia Wegenast is responsible for contests and innovations in the Project MehrWert NRW by the Consumer Direct NRW, which supports consumers with regards to climate protection in everyday life. The focus of the project are practical tips for an environmentally friendly diet, mobility and consumption that conserves resources. MehrWert NRW is funded by the European Regional Development Fund (ERDF) and the Ministry for climate protection, environment, agriculture, conservation and consumer protection of the state of North Rhine-Westphalia. 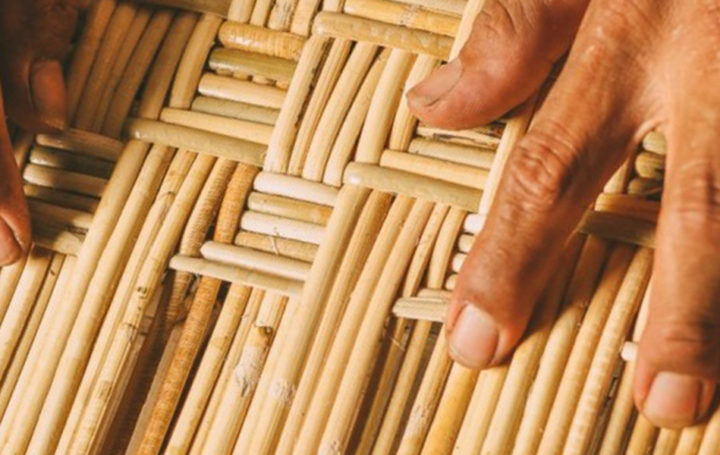 Santai develops and produces contemporary Javanese design furniture, combining traditional craftsmanship, sustainable materials and puristic design. 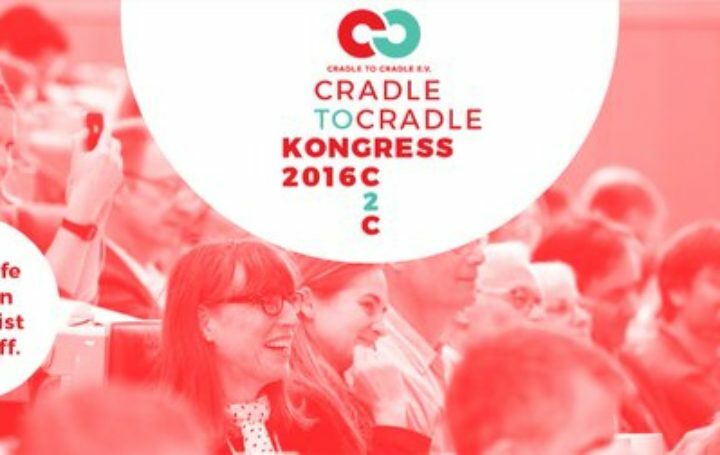 The third Cradle to Cradle Conference in Lühneburg was full of positive energy, versatil ideas. Manufacturers were called upon to be more environmentally and socially responsible.